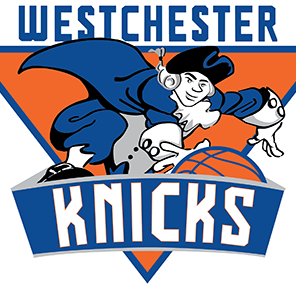 The Knicks announced Wednesday that their new D-league affiliate, which will play in White Plains starting next season, will be named the “Westchester Knicks”. They also revealed the logo for the team, pictured above. Given that the Knicks had been running a fan-submission contest in which the new D-League team’s name would be chosen from the suggestions, it’s a bit odd to see them elect to name the team the “Knicks”. Anyway, it looks like Chris Smith’s chances of playing for a team called the “Knicks” just went up by like 40 percent. This entry was posted in Articles and tagged knicks d league, knicks d-league westchester, KNICKS MEMES, Knicks news, knicks rumors, knicks westchester, knicks white plains, westchester knicks, westchester knicks logo on May 14, 2014 by Tommy Rothman.